Hi! Feel free to contact me if you have any question about room logistics for your event: booking, supplies, technical assistance etc. I’d be glad to help! Some of our conferences, when agreed by the organizers, are accessible live on our webcast. To watch a conference, please click here at the starting time of the conference. 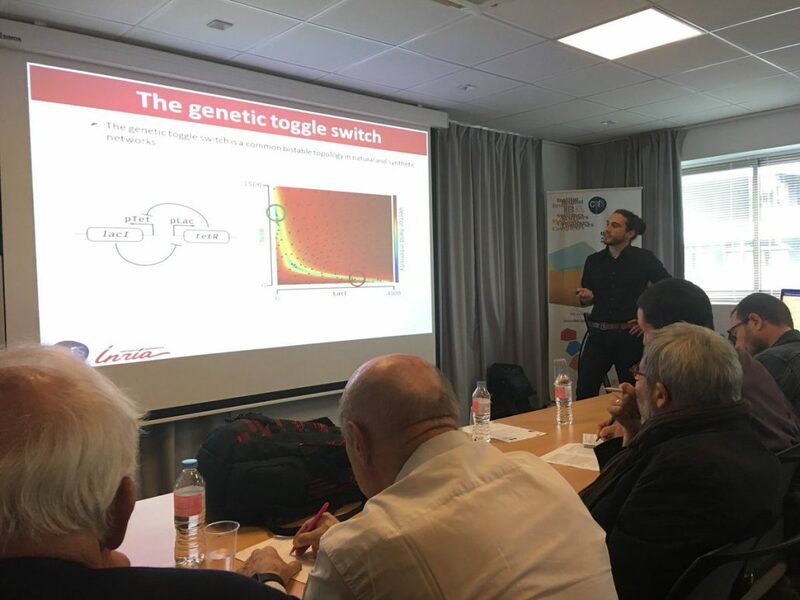 Scientists from ISC-PIF partner institutions can organize teams meetings or events related to complex systems in one of our seminar rooms, or in the auditorium. The modalities are detailed below. Information about your event will be visible on the ISC-PIF calendar and on various pages of our website. Our event manager is here to help you promote your event : creation of a page on our website, registration management, event announcement on our monthly newsletter, home page and Twitter. 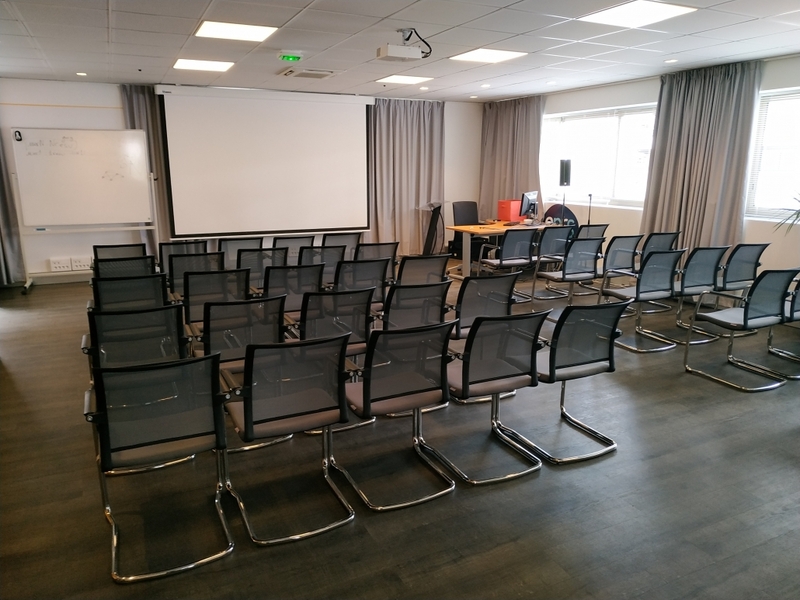 The seminar rooms are located on the first floor of ISC-PIF, 113 rue Nationale, 75013, Paris. The seminar room 1.1 has a capacity of 49 people. 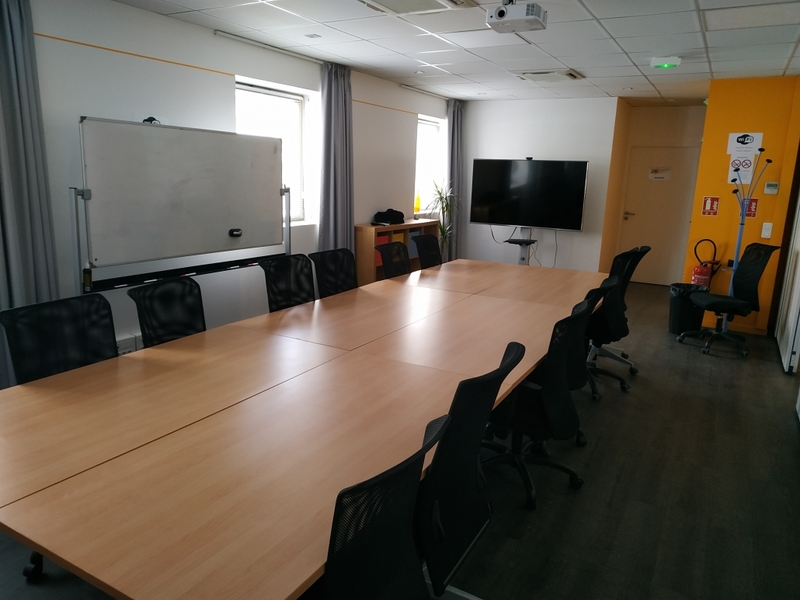 The meeting room 1.2 has a capacity of 10-12 people. The maximum capacity for the 2 rooms is 49 people. With a security officer (SIAP) the maximum capacity for the 2 rooms is 70 people. In the booking form, please make sure you indicate which room you would like to book in the category field. 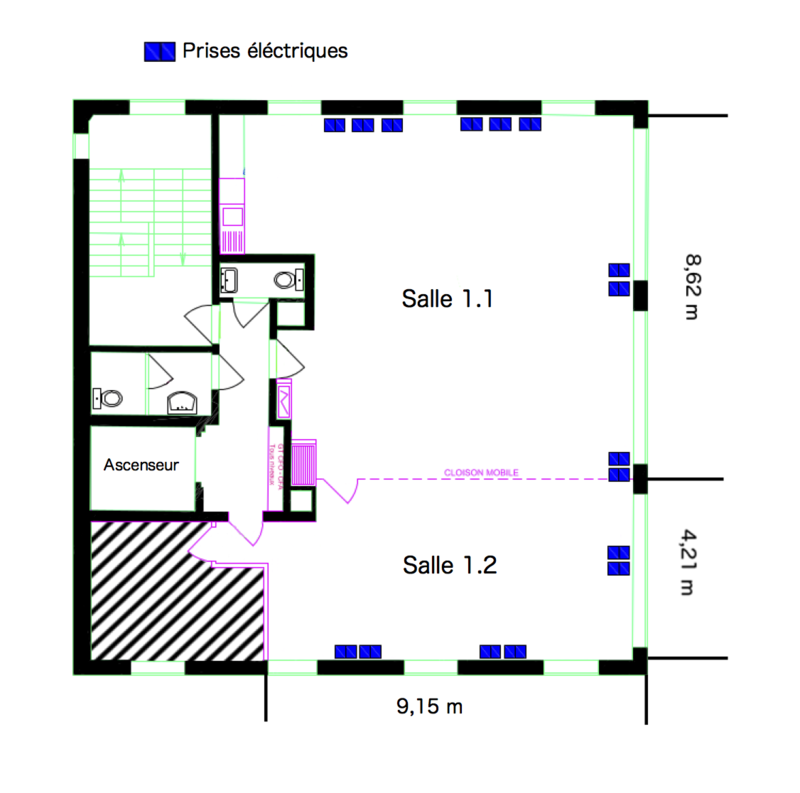 Room 1.1 and 1.2 can be turned into one big 120m² room . In that case, please book room 1.1 and 1.2. If the total number of participants exceeds 49 persons you will have to provide for the services of a security officer. 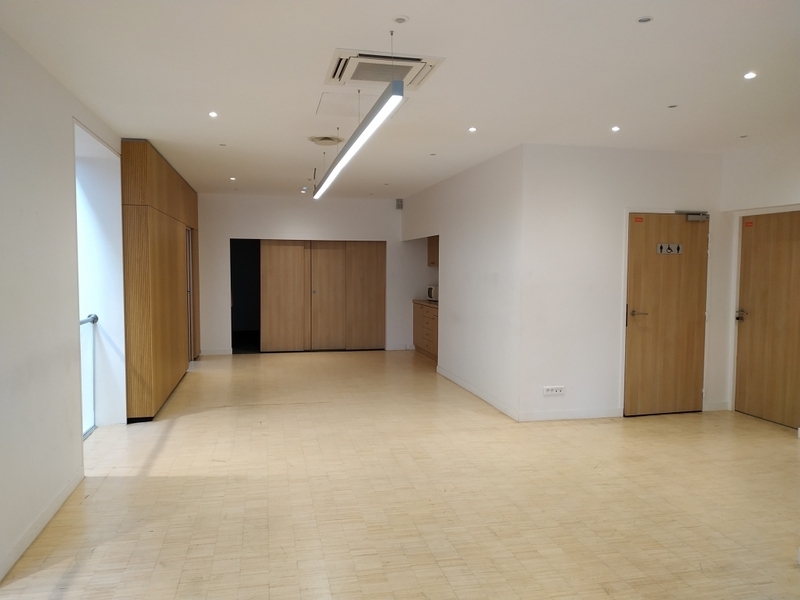 By default, the ISC-PIF’s support is limited to the provision of the auditorium access, with all organisational tasks being borne by the organiser of the event. Beneficiaries of an auditorium slot must set up at their own expense some mandatory services such as fire safety, guarding, cleaning etc. 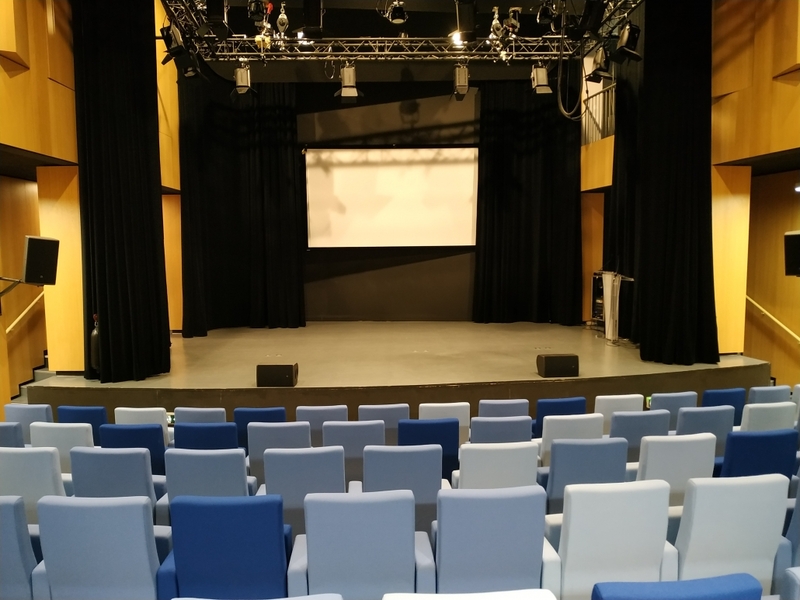 Since September 2018, the Complex Systems Institute of Paris Ile-de-France offers to its partners a privileged access to the auditorium of the TOTEM, located in the level -1 of the building occupied by ISC-PIF. The auditorium is completed by common spaces of more than 150m² for organizing poster sessions or coffee breaks. The auditorium is made available as part of the ISC-PIF policy to support scientific events on complex systems. The organiser shall be responsible for part of the operating costs. This is an estimate of these costs which are mandatory and can not be considered as final costs. Those fees must be paid directly by the organizer to the different companies listed here, not to ISC-PIF. sound, video and lighting engineer : If you don’t need a sophisticated sound video and lighting set-up nor an sound engineer to be on site all day, you can apply for a support from our event technician. He will be happy to help you if his agenda allows it. Otherwise, or if our event technician is not available that day, the organizer shall paid for a technician ~400€/day to a company specified by our landlord (RIVP).